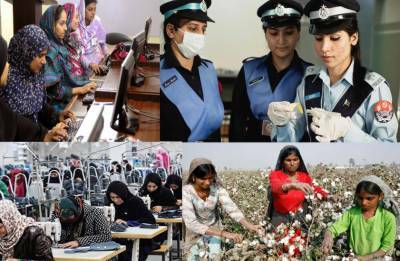 National Working Women’s Day is being observed today in the country. The day was declared on 22nd December 2010 in recognition of the struggle of working women to secure a dignified and respectful working environment. The Day mark to acknowledge the economic contributions made by women to the country. Punjab Chief Minister Muhammad Shahbaz Sharif says Provincial Government has adopted an effective strategy to include women in the mainstream of progress and development. In a message in connection with the National Day regarding Working Women's Rights, he said revolutionary measures have been taken to empower women and protect their rights. Punjab Chief Minister said government jobs quota for women has been increased from five percent to fifteen percent, while a special concession of three years has been given to them to apply for a government job.